I'm an online shopper . . . so I always have a long list of things I'd love to own, but probably never will! I thought I'd share some of my current favorites . . . and maybe you'll discover something you can't live without! I have a hang-up about Cowboy (cowgirl) boots . . . I love them, but I have to find boots with design on the top of the foot. I rarely wear cowboy boots with my jeans tucked in, so if the only design on the sides, you can't see it. I love the color of these boots, and the design on the foot! I love all things Art Deco. This Art Nouveau piece isn't Art Deco, but it is certainly evocative of the era. 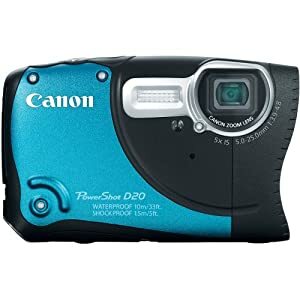 There are many waterproof cameras on the market, but I really like this one for fun / vacation shooting. It is a nice size, and isn't cumbersome. It is high enough DPI to take good photos, but not so high that the cost is through the roof. I love the wow bling factor on this case! I have a beautiful case that opens like a book, but this case is really something special! Another lovely blingy item! Pier 1 had a beautiful line of silver and mirrored furniture, and this is part of that set. I think it is gorgeous! I have quite a few cross necklaces, but not one that is as special as this one. I can see this being an "every day" blingy kind of necklace for me. Of course, I live in Oklahoma, where bling is a pretty common thing for women! 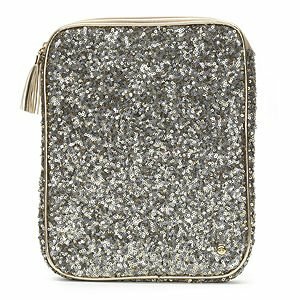 Are you getting the theme of bling? Yes, I love it. I would love to have a capital "L" for my living room! These two cell phone cases are adorable! I love the retro radio because it reminds me of one that my older sister had when I was a kid. I love the lower one because of the Art Deco theme. When I was getting ready to write this blog post, I pinned this bracelet on Pinterest to a board to help me organize my thoughts . . . and almost immediately it sold! Darn it! Oh well . . . I hope whoever gets it will appreciate it as much as I would! This is another item that sold since I pinned it, and I'm kind of bummed I didn't buy it for myself! It is such a gorgeous piece! I love the color contrast. Recycled Kodak Brownie Camera Clock. As a photographer, I tend to love things that involve retro cameras, so this clock made out of a Brownie makes me happy! I love using a wide variety of cameras, and these are really special! It's a TLR - The Blackbird, Fly, is a Twin Lens Reflex (TLR) camera, meaning that there are two objective lenses: One for taking the photograph, and one for the waist-level viewfinder. Behind the viewfinder lens is a mirror at a 45-degree angle (hence the term "reflex"), which reflects upwards through a matter focusing screen surrounded by a hood/enclosure used to block some light and reduce reflection on the screen. This creates an image on the screen identical to what will be captured on film through the photographic lens. It uses 35mm film - Most TLR cameras use 120 format film. Although 120 film is very cool, it can be much harder to find and even harder to get developed. With 35mm film you can just drop it off at the nearest 1-hour photo! 3 formats - You can shoot in 3 formats (using provided masks): normal 35mm (24mm x 36mm), square format (24mm x 24mm), and large square format (36mm x 36mm). This hand mirror makes me swoon. Soooo lovely! 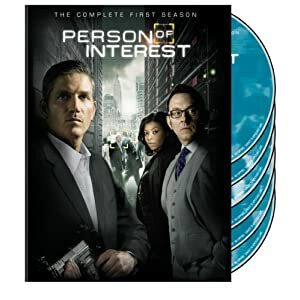 Finally, my last "wish" is for the Person of Interest DVD set. This is remarkable for me because I am not a big TV watcher, and I rarely know the names of TV or movie stars. It's just not my thing. However, I've developed a big crush on Jim Caviezel, so I've taken to watching this series regularly! Thank goodness for the DVR! So what is on your wish list this year?